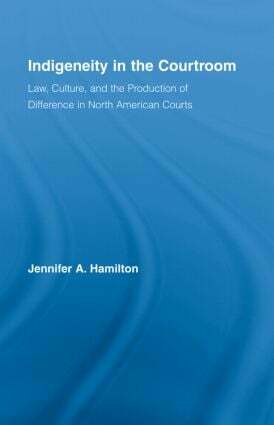 "This collection of four essays, each of which probes and details the ways in which indigeneity is produced in court and in the discursive domains surrounding court, is theoretically very sophisticated, provocative, and stimulating. Readers will be rewarded for their close reading of Jennifer Hamilton’s fine scholarship." Jennifer A. Hamilton has a PhD in Anthropology from Rice University and has written numerous articles on law, race, indigeneity, and biomedicine. Currently, Dr. Hamilton is Assistant Professor of Legal Studies and Director of the Law Program at Hampshire College in Amherst, Massachusetts.